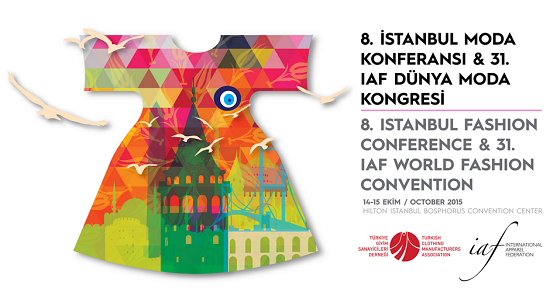 IAF is proud to announce that the registration for the 31st World Fashion Convention and 8th Istanbul Fashion Conference is now open. Please visit our registration page to read about one of the most important conferences in the global fashion industry and to register now to benefit from the substantial early bird discounts. Istanbul will be a perfect backdrop for this Convention; a city that has always been excellent in bringing people together and one of the major global centres of the apparel industry. The Convention will take place at the Hilton Bosphorus, with views of the Bosphorus and the Old Town, a location that offers the best of Istanbul directly. The Convention starts on October 13th with the traditional IAF Golf Tournament. This is followed by the spectacular Gala dinner, where the top of the entire Turkish fashion industry meets, over 500 people strong and to which all international delegates are invited. October 14th will be the conference day and feature a satisfying mix of keynote speakers and panel discussions. As you may expect from IAF, the conference will bring top speakers and a clear storyline helping you to connect the different speeches and discussions to a number of major issues shaping our industry’s future. The theme of the Convention is ‘Making it better’. The day will end with a pleasant cocktail reception in the Convention hotel. On October 14th delegates may choose. You will have the opportunity to sign up for a number of parallel workshops and also to engage in B2B meetings with Turkish companies. For IAF (Board) members there are Board Meetings and the IAF General Assembly.